The Ban Flower Festival 2017 is scheduled to begin in March next year in the northern province of Dien Bien, together with the fifth Culture – Sports – Tourism Festival, according to the provincial People’s Committee. The two festivals will take place between March and May next year with main activities held from March 11-14. The events will include exhibitions of ethnic groups culture, ethnic groups’ traditional musical performances, the Miss Ban Flower contest, traditional rituals and sports challenges. 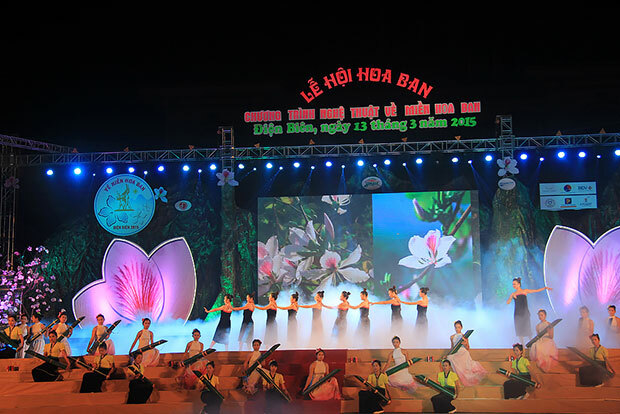 Held in 2013 for the first time, the Ban Flower Festival 2017 and the fifth Culture-Sports-Tourism Festival aims to promote Ban flower, a feature of Dien Bien province and the northwestern region, and boost local tourism. It is also part of activities for the Year of National Tourism 2017, themed “Colours of the Northwestern Region”. The white and purple Ban flower, scientifically known as Bauhinia Variegata, is typical to the northern mountainous region of Vietnam and often in blossom in spring./.